Pink Lady DiAnn is the perfect combination of sultry siren and a sweet little flapper with a whole lot of sass! 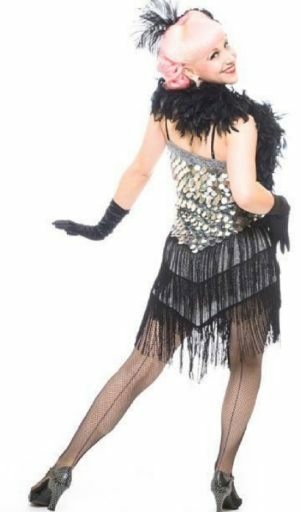 She is a performer of many talents; having won Best Group 2013 at the Burlesque Hall of Fame and frequently traveling throughout the U.S. singing, swing dancing and performing burlesque in shows in such hot spots as New Orleans and New York. In her home base of Portland, Oregon, this lovely songbird regularly performs and sings the songs of the Prohibition Era with her band Pink Lady & John Bennett Jazz Band along with producing her own monthly show, The Cat’s Meow!